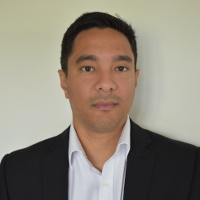 Lou Lwin has 27 years of experience in technology, covering everything from infrastructure to security, data centre to cloud, and IT operations to enterprise architecture, holding several senior leadership roles along the way. During the last six years at Markerstudy, Lwin has led numerous digital transformation initiatives in both technology and the workforce across a very complex environment. Leading teams of experts to turn business challenges into business as usual, he has achieved a reputation for executing rapid change and achievable IT strategy. He is currently focusing on legacy modernisation and robotic process automation.